make all clients happy. Whether you are looking to to buy or sell, you will have questions, lots of them and the Realtors at Mosko Realty are experienced and knowledgable in the industry to help you make the right decisions that are suitable for your family. Buying your new home is a serious venture. It can be an absolute pleasure or a massive headache. Your house is not just your home, it is a serious investment in the dwelling, the area and your future. When buying a home – you’re bound to have many questions. For example, “In what area can I find a home that suits my needs?”, “How much money will I need to afford the monthly payments?”, “How long will the home buying process take and what are my closing costs?” and “Can I apply for Permanent Residency?” – these are just a couple of the common questions we get. Also investing in another country, naturally, you will have questions and concerns about the real estate transaction process, immigration and taxes. We will help you with these questions and advise you for the best property that matches your families needs. The appearance of your home, a buyer’s first impression, and other considerations can also affect the sale of your home. Have you considered that home prices in your neighborhood and the value of your property are also factors used for pricing your home? Let one of our agents discuss with your options to get your home sold in the least possible time frame. 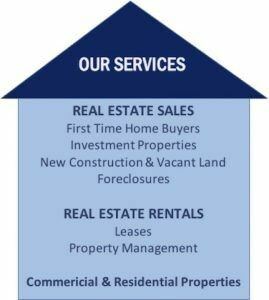 You want a company that treats your investment as their own and at Mosko Realty Ltd. thats what we do! We take pride in all of our real estate rentals and property management properties and fully serviced them as if they are ours.